133 piece LED kit for complete game. Fits both regular Addams Family and Addams Family Gold models. Replaces original/incandenscent bulbs. Includes all non-ghosting LEDs. Installation instructions and diagrams included. 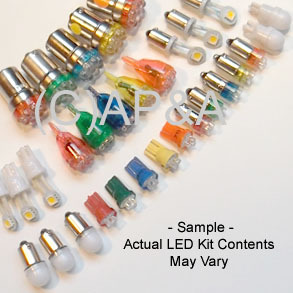 Please read our Important Notes on LED Kits before ordering. Image is a sample of kit. Actual kit contents & colors may vary.